Salt Lake International Airport is one of the busier airports in the nation, seeing more than 20 million passengers in 2011 alone – that's roughly 55,000 people every day. SLC serves eight commercial airlines: American, Frontier, JetBlue, SkyWest, Continental, US Airways, United, Southwest, and Delta. In fact, is is one of Delta's major hubs, and operates approximately 219 flights just with that airline each day. And though this airport stands just five minutes west of Downtown Salt Lake City – literally – many people have a specific need for sleeping in its immediate vicinity. Those people needing to catch an extremely early flight, with a nighttime stopover, without a car – or even those landing at midnight, too exhausted to navigate Downtown Salt Lake City's hotel district at the end of a travel day – will find plenty of hotels surrounding the airport. 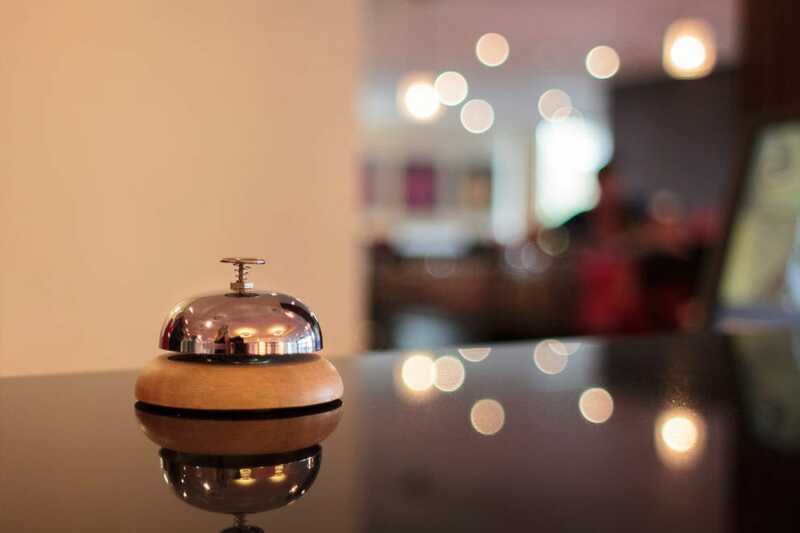 The many hotels near Salt Lake International Airport all cater to the business traveler, offering curbside pickup, 24-hour shuttle service, and wireless internet. Guests may enjoy a workout session in the fitness center and a soak in the hot tub after (or before) a long day of flying to loosen up the back. These hotels all belong to nationally-owned chains, meaning that seasoned travelers know exactly what to expect from each establishment without any guesswork. 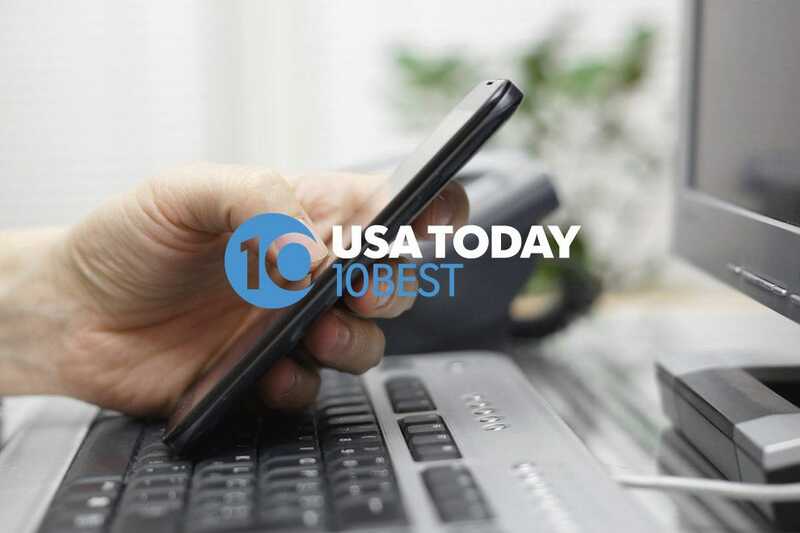 The top-rated hotels in the vicinity are the Hampton Inn & Suites, Hyatt Palace Salt Lake City Airport, and Springhill Suites Marriott Salt Lake City Airport. Their competitors follow closely, all providing a reliable level of service and accommodations. A guest in any of these hotels will enjoy a good night of quiet sleep, without worry of missing a flight. Guests at this Holiday Inn may opt for a standard guest room or a larger suite. Either way, all lodging includes a variety of amenities such as flat screen TVs, bathrooms, and desks. The hotel offers a lobby that has a fireplace as well as a very large screen TV. A business center covers basic needs for those needing to copy, fax, print, and the like. 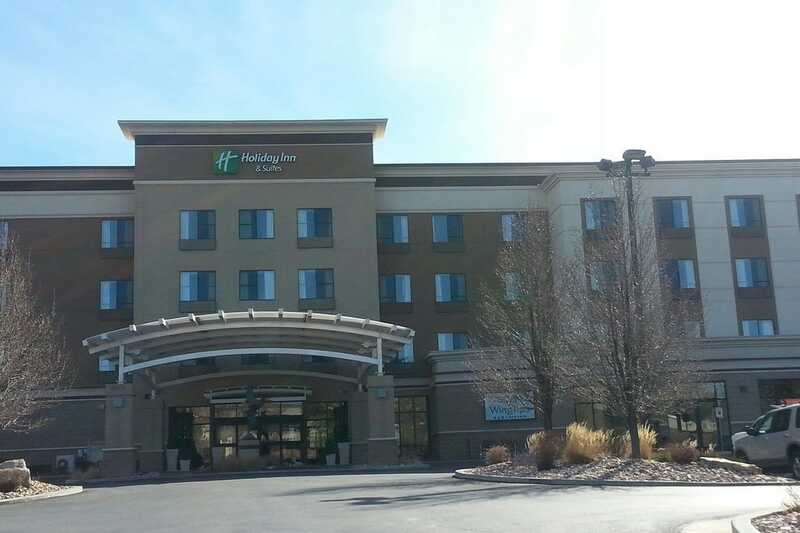 The Holiday Inn Hotel & Suites Salt Lake City-Airport West also offers an on-site restaurant and a club; no need to hang out in the airport any longer than necessary. To aid in decompression before and after flights, the Holiday Inn offers a fitness center, a spa, and a pool as well. 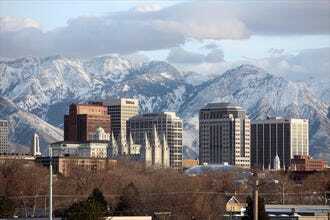 The Hilton Salt Lake City Airport is only a short distance from the downtown area of the city, and has 288 rooms. Each include standard amenities such as TVs, coffeemakers, bathrooms, and modern décor and furnishings to boot. The Hilton Salt Lake City Airport also includes an indoor pool, a Jacuzzi, and a fitness center to help alleviate flight-induced soreness and back cramps. Guests have a number of options, transportation-wise. Those needing a simple to-and-from-airport ride can opt for the hotel's own shuttle. But those needing to reach the city may either rely on public transportation or a standard taxi cab. 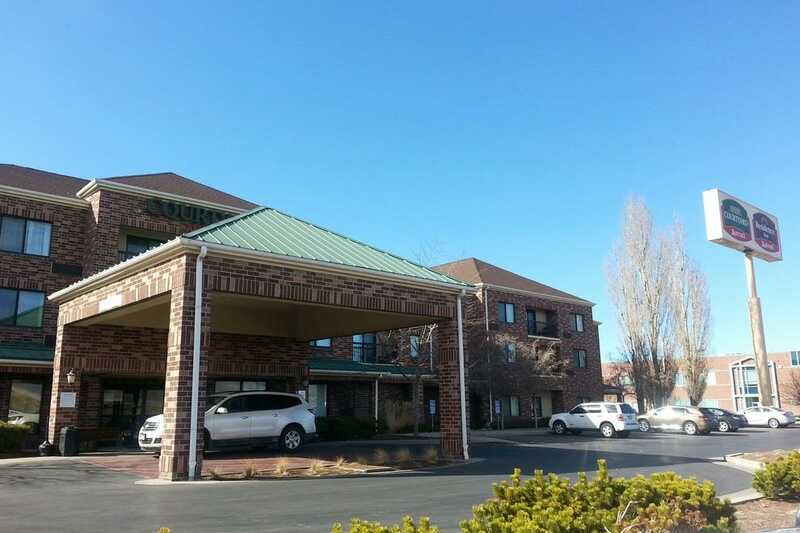 The Comfort Inn Airport/ International Center is located extremely near both the Salt Lake International Airport and Salt Lake City Downtown �– which stand just five minutes apart from one another via I-80. All of the rooms found at the Comfort Inn Airport/International Center include refrigerators and microwaves as well as bathrooms. Travelers staying at the Comfort Inn Airport/International Center needn't worry about meals, as they can eat breakfast, lunch, and dinner at the Cedar Creek Grill, which is located at the hotel. The hotel has a gym and a swimming pool as well. Pets may stay with the Comfort Inn Airport for an extra fee. The Residence Inn Salt Lake City Airport offers shuttle service to and from the airport, so guest needn't worry about hassling with renting a car or parking their personal car before a flight. Those who want to reach other areas can either use a rental car or the public transportation. 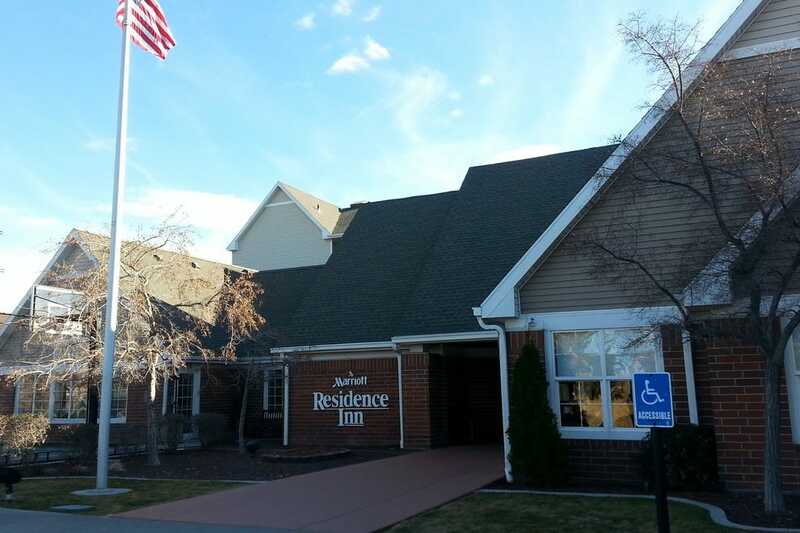 All of the rooms at the Residence Inn Salt Lake City Airport include amenities such as high speed Internet access, phones with voicemail, work desks, cable TV, bathrooms, hairdryers, and irons and ironing boards. Hotel guests all have access to laundry facilities, a pool and fitness room. The Residence Inn Salt Lake City Airport offers complimentary breakfasts and an evening reception Monday through Thursday. The hotel is located just 3 miles west of the downtown area, allowing guests to easily visit downtown, with all its shopping, dining, and sightseeing opportunities. The hotel offers 126 guestrooms, in each guests will find mini bars, small refrigerators, bathrooms, phones, and access to the internet. The hotel offers transportation to and from the airport 24-hrs a day �– so those without a rental car needn't stress about their transportation. However, those with a car will find the underground parking a secure place for their vehicle. 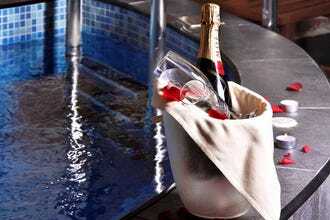 While staying at the hotel, guests can use the outdoor pool and spa, can dine right in the hotel at the in-house restaurant called the Club Room. 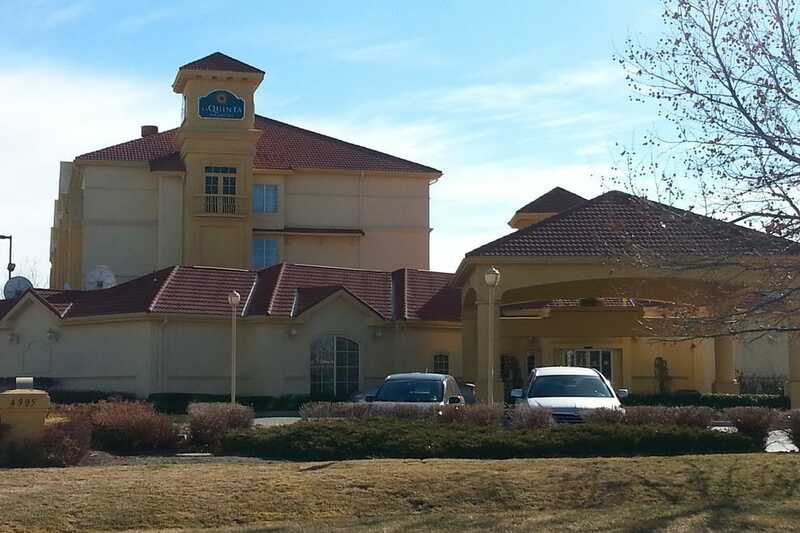 The La Quinta Inn & Suites Salt Lake City Airport is located just minutes from the Salt Lake City International Airport. Guests have access to a hotel shuttle to reach the airport, as well as public transportation to reach the airport and any other areas they want to explore if they do not have a rental car. 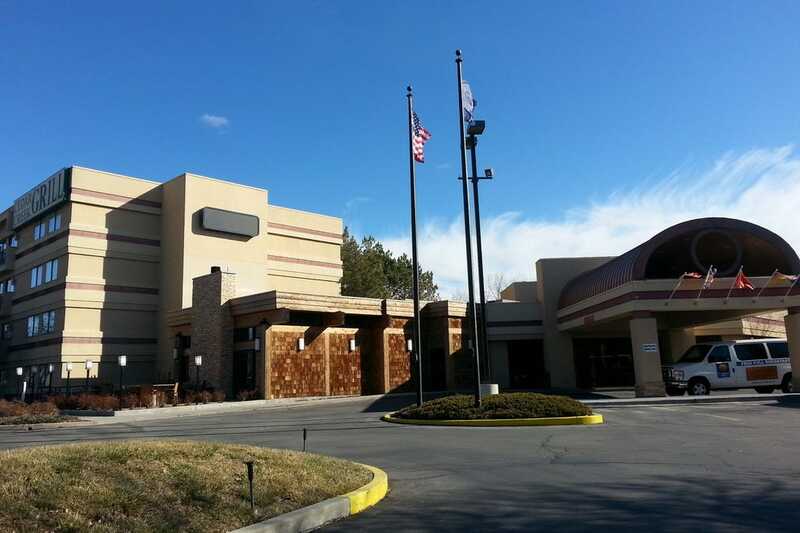 All of the rooms at the La Quinta Inn & Suites Salt Lake City Airport offer air conditioning and wireless. Other amenities in the rooms include cable TV, clock radios, and coffeemakers. 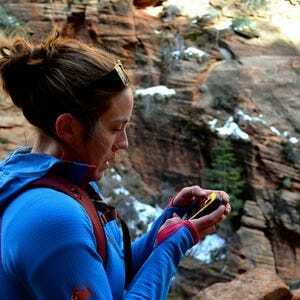 Those traveling with furry companions will appreciate that this hotel allows small pets. The hotel additionally has a heated pool, fitness center, business center, and free parking. A continental breakfast is served every morning. 4 Courtyard Salt Lake City Airport Those staying at this Salt Lake City hotel will find that they at once very near the airport and a short, easy drive from the city's major attractions �– thanks to the speedy interstate belt system. Head to the downtown area to visit Temple Square or Hogle Zoo, or drive to the numerous ski areas in the Wasatch Mountains. 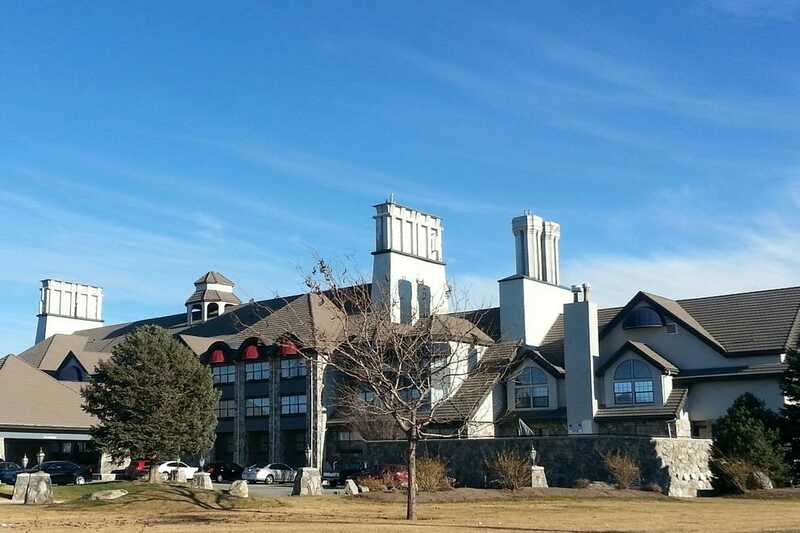 The hotel sits but a mile from the Salt Lake City International Airport, and it takes only minutes to reach by car. All rooms at the Courtyard Salt Lake City Airport include amenities such as access to the Internet, cable TV, work desks, multi-line phones with voicemail, coffeemakers, and irons and ironing boards.The hotel also offers a cocktail lounge and an in-house restaurant, a pool, lounge, and exercise room. 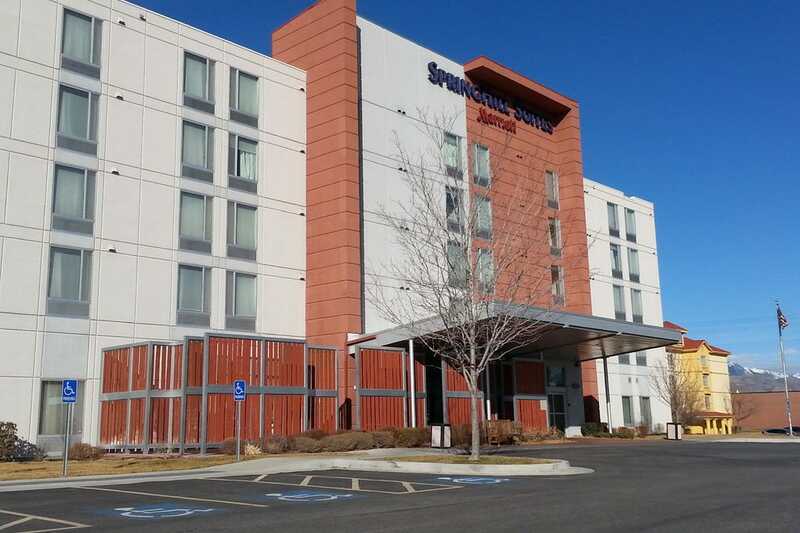 At the SpringHill Suites Salt Lake City Airport hotel, you will enjoy our oversized king or queen suites with luxury bedding, 37" high definition television and relatively chic décor. Located immediately near the Salt Lake City International Airport, this hotel offers a free 24-hour shuttle for worry-free travel. To start your day, enjoy a complimentary buffet or a to-go breakfast. Though near the airport, this hotel is nevertheless still quite near to a number of attractions and can be the perfect starting point for visits to Energy Solutions Arena, Gateway Plaza, Temple Square and Salt Palace Convention Center. Guests can enjoy an indoor pool and state-of-the-art fitness room. If business brings you to town, you'll find free Internet access, a 24-hour business center and a sleek 365-square-food meeting room. The Hyatt Place is conveniently located at the Salt Lake City Airport. 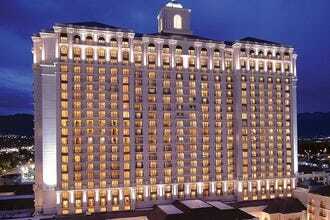 The hotel offers the newest technology in its modern guest suites. It features contemporary decor with safely distinctive architecture, stylish furnishings and unexpected touches, all blending to form atmosphere of casual hospitality. The property is literally seven minutes west of downtown Salt Lake City an all it has to offer. The hotel offers 24-hour front desk assistance, a business center with audio visual equipment, a fitness center, elevators, a heated pool, meeting facilities, a spa and sauna, wheel chair access, parking, a car rental desk, concierge service, copy service, currency exchange, air-conditioning in public areas, laundry service, wake up calls, and room service. Guestroom amenities include air-conditioning, alarm clock, balcony, bathroom with shower, make-up mirror, cable TV with remote control, hairdryer, cordless telephone, iron and ironing board, safe, temperature control, and high-speed Internet access. The hotel is located a short drive from the downtown area. Those staying at the Hampton Inn & Suites SLC Airport have the best of both worlds: immediate nearness to the airport, and easy access to attractions like Temple Square, museums, and the Hogle Zoo. Guests at the Hampton Inn & Suites SLC Airport are just a few minutes from their airline's check-in desk by way of the free, 24-hour hotel shuttle. Rooms at the Hampton Inn & Suites SLC Airport include standard modern amenities such as coffeemakers, bathrooms, cable TV, and wireless access to the Internet. Those staying at the Hampton Inn & Suites SLC Airport can start the morning with a complimentary continental breakfast.